The following article is provided in honor of the USA Commemoration of the 50th Anniversary of the Vietnam War. Grady Lee Clark. 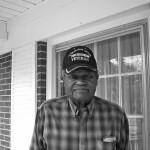 He was born in the Good Hope community of Saluda County, a son of Curtis and Mae Bell Clark. He lived there until he was 12 years old, when the family moved to East Orange, New Jersey, seeking better economic and educational opportunities. After high school graduation in 1959, Clark joined the Army and was sent for training and assignments in NJ, MA, TX, VA, Korea, and Germany before being sent to South Vietnam in 1966. Sgt. Clark was stationed in Cam Ranh Bay and Qui Nhon in South Vietnam for a year, 1966-1967. Cam Ranh Bay was one of the main seaports at that time. Clark was told that there were 800 supply ships waiting to be off-loaded when he arrived. At that time, there were no buildings at the seaport, so Clark’s unit had the job of preparing the land and putting up the necessary buildings. Clark was a squad leader, over 12 men, and then became platoon sergeant, over 30 men. There were two crews operating there in the 585th Transportation Co. that Clark was in. One crew loaded the trucks and another crew drove them to their destination to unload and bring them back to the port that same night. “Ro-Ro,” they called it; “roll it on and roll it off,” seven days a week with no Saturdays or Sundays off. “Every day was the same,” Clark said. “I can’t remember any Saturdays or Sundays.” What Clark does remember vividly was the Thanksgiving feast that the US Army provided for them. “Tables and tables of food—fresh food—turkeys and hams, fresh vegetables, fresh fruit, all you could eat,” Clark recalled animatedly. “They even had ice cream for us, and there was no refrigeration there either. I don’t know how they did it,” he recalled. Quite a treat after eating C-rations for months! When asked about Christmas 1966, Clark reported that he cannot even recall Christmas in Vietnam. He did, however, remember New Year’s Day because he noticed the date on the operating orders in one of the trucks of the convoy he was responsible for. That was the extent of his New Year’s celebration! Like the other veterans we have interviewed, Clark spoke of the stifling heat in Vietnam. He told of someone sticking a thermometer in the ground in the sun. When it got to 120 degrees, it burst. In all that stifling heat they had to wear bullet-proof vests, which were extremely hot. He noted that they could not even remove them in the heat (and were not allowed to do so) because the vests had metal buttons which would heat up in the sun and burn their fingers if they tried to remove them before they cooled down. And how they drank water! Each person carried two canteens of water. They were always on guard, afraid of enemy snipers, as the enemy was trying to prevent US Army ammo trucks from getting through to our troops. Clark told of snipers’ bullet holes in trucks and of land mines planted along the route of US supply trucks. There was danger all around and little relief from the stress of the job and the living conditions. Illicit drugs were accessible, Clark said, noting that some men smoked marijuana to relieve the fear that they felt. Mail from home helped considerably, but often those letters would come by the handful following several days of no mail. Clark told of writing his wife daily while his truck was being loaded. Then he told of the men who got “dear john” letters from their girlfriends back home and of the men who dealt with marital problems due to their absence from home and family. Clark, also, recalled several men who had met their first girlfriends in Fort Lewis, Washington or Oakland, California before shipping out to South Vietnam. Some hardly knew each other and had only dated a few times before the young men shipped out, but the girlfriends insisted on their marrying immediately. Then the men got killed in Vietnam and the girls got their insurance money. Clark told of his wife’s getting a call at their home in Washington state, informing her that her husband had been killed in Vietnam. He said his wife contacted the military herself to confirm that Clark was alive and well. He said they knew that the call had come from an anti-war protestor, who had called other soldiers’ wives in the area. “The Army did not inform the wives like that,” he said. He added that he later had the very difficult job of informing wives of such dreadful news. After one year in Vietnam, Clark was assigned to Ft. Carson, CO. Later he served at Ft. Bragg, NC, and then in Albany, NY, Newark, NJ, and Syracuse, NY. Clark remained in the Army until he retired in 1979. During his military career Clark was awarded the following military awards: Good Conduct Medal 6th Award, National Defense Service Medal, Vietnam National Service Medal, Republic of Vietnam National Campaign Medal, US Army Accommodation Medals for 1967 and 1979. 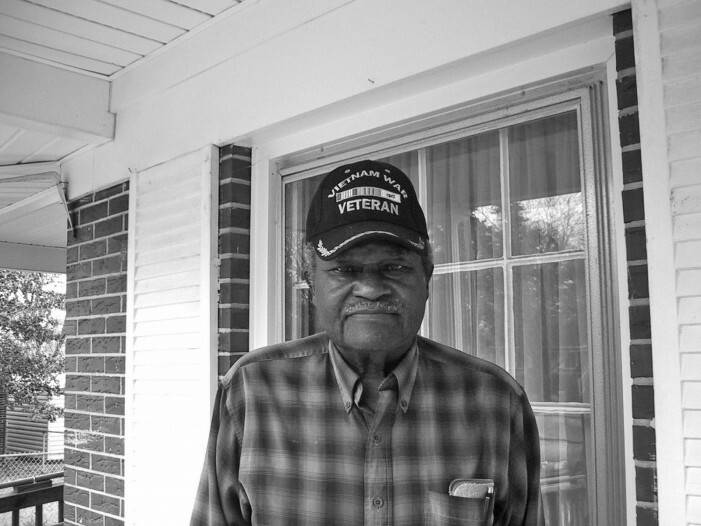 Following retirement from the Army, Clark became director of a community center in NJ, a job he held for 27 years. Now 75 years of age and widowed, Clark lives in Saluda, where he (his mother’s only child) cares for his 93-year-old mother. He is a deacon at Antioch Baptist Church in rural Saluda County and is active in the local American Legion and VFW. He has one daughter, who has her Ph. D. in Audiology and teaches at a university in NY State. Thank you, Grady Clark, for what you did for our country! The above article was provided by Old 96 District Chapter, Daughters of the American Revolution, an organization whose objectives are patriotism, education, and historic preservation. These interviews will be preserved at the Saluda County Museum and at the Tompkins Library in Edgefield. If you are a veteran or a relative of a deceased Vietnam veteran and would like to have your story or theirs presented, call Ann Ella Adams at 803-637-4690.